Win a share of up to $10,000 daily in 888 Poker’s The GR888 Winter Giveaway, running now through the end of December, with $10K (£6K) freeroll tournaments running each and every day. To get started, check your 888 Poker email inbox for your first free ticket into a $10,000 Daily Winter Freeroll tournament. 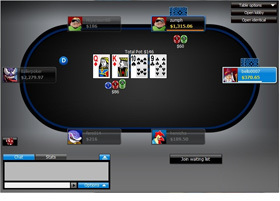 To earn an additional ticket into another 888 Poker Daily Winter Freeroll, each with a $10,000 (or £6,000) guaranteed prize pool, just get 3 of a kind 8s (trips 8) on any hand and make it to the Showdown of that hand. Every time you do so, you’ll earn an additional ticket into another $10K Daily Winter Freeroll. Players can earn a maximum of 1 such ticket per day of the promotion. In addition, there are also Winter Warmers, prizes of 888 Poker merchandise and more, all also up for grabs during these $10K (£6K) Daily Winter Freeroll tournaments. New players to 888 Poker, upon making their first real money deposit, will earn, in addition to their Welcome bonus, 5 free tickets into GR888 Winter Giveaway Daily Freerolls. Players have until the end of December to redeem their Daily Winter Freeroll tickets before they expire. Only 3 of a kinds received during cash games or tournaments with real money buy-ins are eligible for Winter Giveaway Freeroll tickets. 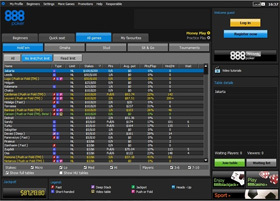 Trip 8s received in freeroll tournaments, for example, do not count toward Daily Winter Freeroll Tournament tickets. It does not matter, however, whether the three of a kind includes 1, 2, or none of your hole cards.